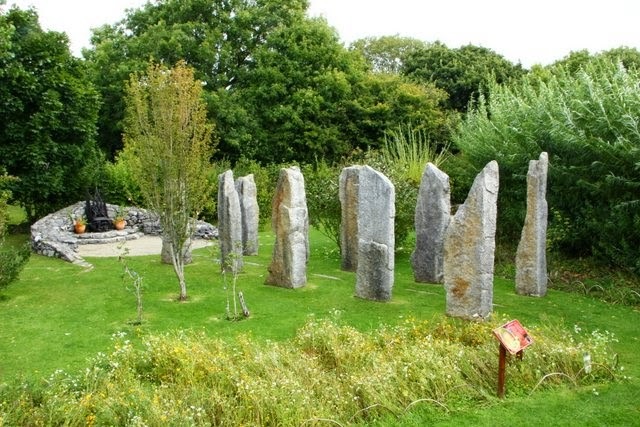 Bealtaine (pronounced Belt-an-a) marks the beginning of the light half of the Celtic year. It's traditionally celebrated on May 1st which is considered to be the beginning of summer. It is a time of fire and light, of love and marriage and the time of coming of age. Cows were turned out into summer pastures and Irish houses were decorated with flowers, many of them yellow to signify the light during this festival time. 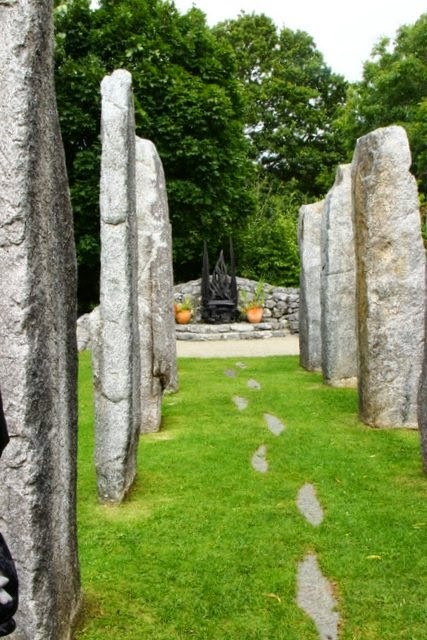 \ In the Bealtaine Garden, standing stones make a path from a fire source to a bonfire in front of a throne formed from bog wood. And yes, we all took a turn sitting on the throne!